OK, continue the previous post about the LG Optimus F7. Now, here we want share information about the LG Optimus F5 specs, features, price, also manual download link in pdf format. 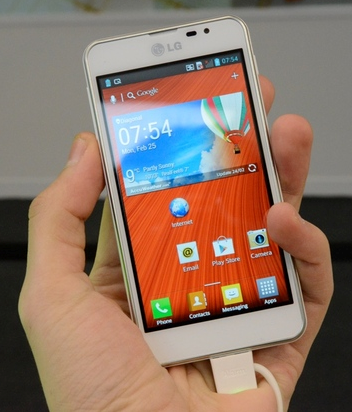 But before discuss about all above information, the following pros or advantages and cons / disadvantages of LG Optimus F5. There are pros for this smartphone like supported by Dual core processor ( 1200 MHz), then has big display screen (4.3 inches), Lots of RAM (1 GB), High-resolution display and Fast mobile data support (4G). While for cons of this phone like the camera not equipped with autofocus features and flash. Unfortuntely for this time the LG Optimus F5 Manual / User Guide not yet available. Please come back here later again to check the manual availability. We will be update soon.